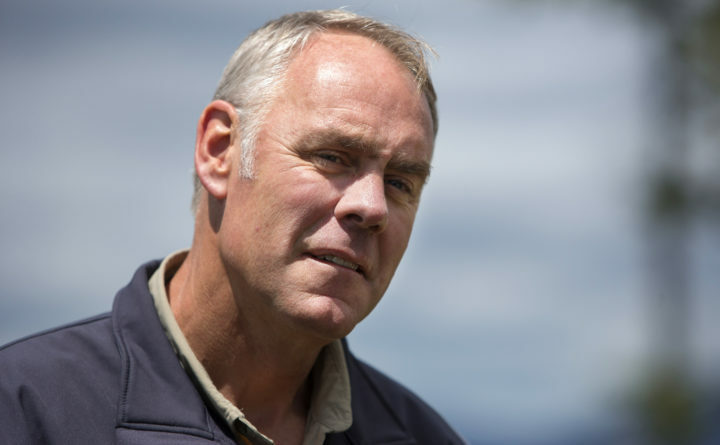 U.S. Secretary of the Interior Ryan Zinke listens to questions as part of a question and answer with media during a tour of the Katahdin Woods and Waters National Monument, June 14, 2017. Interior Secretary Ryan Zinke, facing federal investigations into his travel, political activity and potential conflicts of interest, will be leaving the administration at year’s end, Trump said Saturday. In his resignation letter, obtained by The Associated Press, Zinke said “vicious and politically motivated attacks” against him had “created an unfortunate distraction” in fulfilling the agency’s mission.